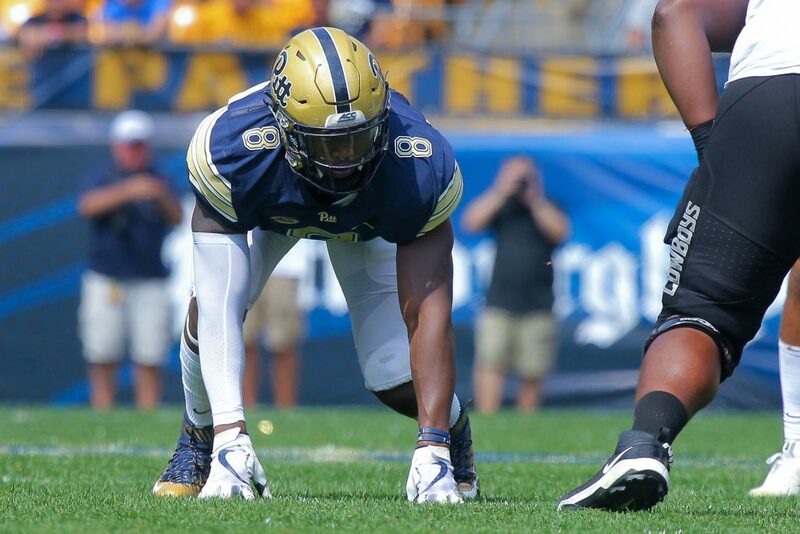 Pitt Panthers defensive lineman Dewayne Hendrix is in the ready position for the 2018 season and to get after opposing quarterbacks. Photo: Jeffrey Gamza/Pitt Athletics. 3) Our hometown University of Pittsburgh Panthers take on the Virginia Tech Hokies at Heinz Field. The team is coming off a big win last week against the Virginia Cavaliers and hopes to keep the good times rolling. The Panthers are 5-4 overall and 4-1 in ACC play, currently residing atop the Coastal Division. Kickoff is at 3:30 p.m. 100 Art Rooney Ave., North Shore.